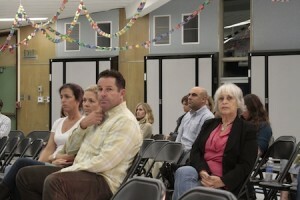 A candidates forum held last week at Top of the World Elementary School offered Laguna voters a deeper look at the positions of the two incumbents, Jan Vickers and Bill Landsiedel, and two challengers, Tammy Keces and Dee Perry, who are running to fill two seats on the district’s school board. 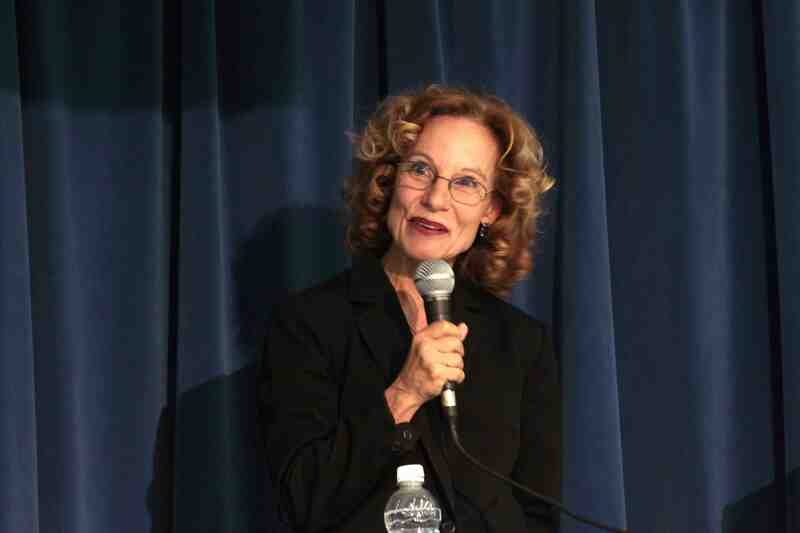 The local chapter of the League of Women Voters and the PTA hosted the forum and provided an impartial moderator from Dana Point to ask a series of questions culled from cards written by attendees. The four contenders, who are all parents with varying degrees of teaching experience, all emphasized the importance of putting the children first and agreed loosely on some issues, but diverged on others. With the state’s fiscal crises threatening further erosion to financing education, both Vickers and Landsiedel said funding is the district’s most important issue. Perry and Keces did acknowledge the need for fiscal solvency, but without particular emphasis. Overall, the incumbents’ answers were naturally tempered by their experience on the board and their intimate understanding of the district’s bureaucratic twists and turns. By the same token, asked about desired changes, both incumbents saw little need to rock a smoothly sailing boat buoyed by rising test scores and a balanced budget. “We don’t want the board to be anything other than it is today,” said Landsiedel, and Vickers agreed that the current board collaborates effectively and allows for respectful disagreement. The challengers see more wiggle room. While Perry said she prized collaboration and wouldn’t want to change the board so much as to simply “bring my unique perspective” to the table, Keces did not rule out change. She said she looked forward to collaborating with the board if elected, but as a new member she would offer a new voice that would reflect her understanding of the issues parents have brought to her attention. “I think the board can shift their thinking and embrace the community more,” she said. Candidates were asked their position on whether the district should move to full-day kindergarten. Keces, having experienced such a transition in another district, favors such a shift. She said the kids were tired at first, but got used to it, and now that our district is transitioning to the Common Core curriculum dictated by the state, “it’s the perfect time to introduce our youth to a fuller day,” provided the community supports the move. Perry reiterated the need for community support, but said it “looks like a good way to go,” especially as other districts have adopted the practice. Vickers said that kids in kindergarten spend more time actively learning in class and making more constructive use of their time than they used to. So, unless administrators and teachers see a need for longer days in order to implement the new curriculum, she prefers not to place undue pressure on the children at that age. Likewise, Landseidel supports staying with a half day, though he would be willing to look at a full day, should the curriculum necessitate it. 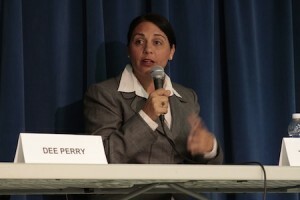 Asked their beliefs about using community volunteers as an educational resource, Keces said “why wouldn’t we embrace community members who can offer more?” And Perry wholeheartedly agreed, adding that the district should be able to “get around the need for teaching credentials” in order to allow community members to share their expertise with the kids. Vickers noted that the schools already tap artist volunteers for non-classroom enrichment programs, but cautioned that “there are some constraints” due to district policies, which would require screening volunteer candidates. “What if an uncredentialed person slips through and causes a problem in the classroom?” asked Landsiedel, echoing Vickers’ caution. The issue was never “off the table,” responded Vickers, admitting that while more improvements are envisioned, change takes time within a bureaucracy. 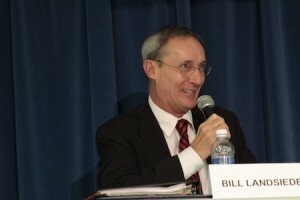 For his part, Landsiedel said he believed the district had already made changes that addressed the recommendations pressed by the parents’ nutrition committee. “Kids don’t necessarily like healthy food,” he added, as a partial explanation about why the popularity of buying school lunches declined last year. Asked their position about evaluating teachers, Keces talked about “re-inspiring” and incentivizing unmotivated teachers, but did not address evaluation techniques. Perry called integrating student test scores into a teacher’s evaluation “a can of worms.” She also said that out of 16 principal evaluations she’d had, only two were truly helpful, but that receiving evaluations from fellow teachers proved very useful. 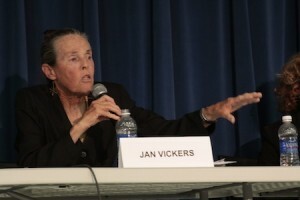 Vickers stressed the importance of principals observing in classrooms often in order to make informed evaluations of veterans as well as before making tensure decisions. As sitting board members, Landsiedel and Vickers know the district’s bureaucratic and legal constraints, while neither Keces nor Perry appeared to be well-versed in certain board policies and practices. Even so, both challengers possess backgrounds in education, claim support from local parents and profess strong desires to use their experience to serve the community. As the moderator of the forum said, Laguna is very lucky to have such candidates to choose from.